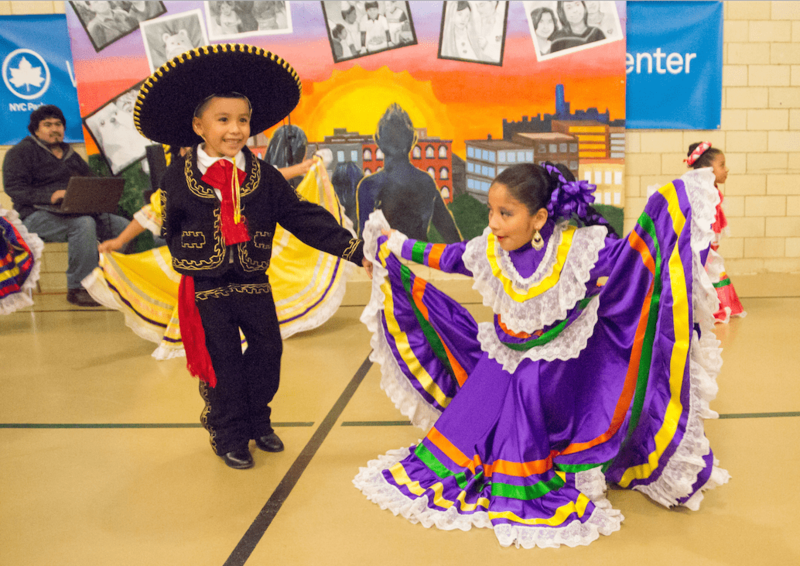 Join us for an extravaganza of stories, art, and dance performances inspired by the neighborhood of Sunset Park at the Sunset Park Recreation Center. 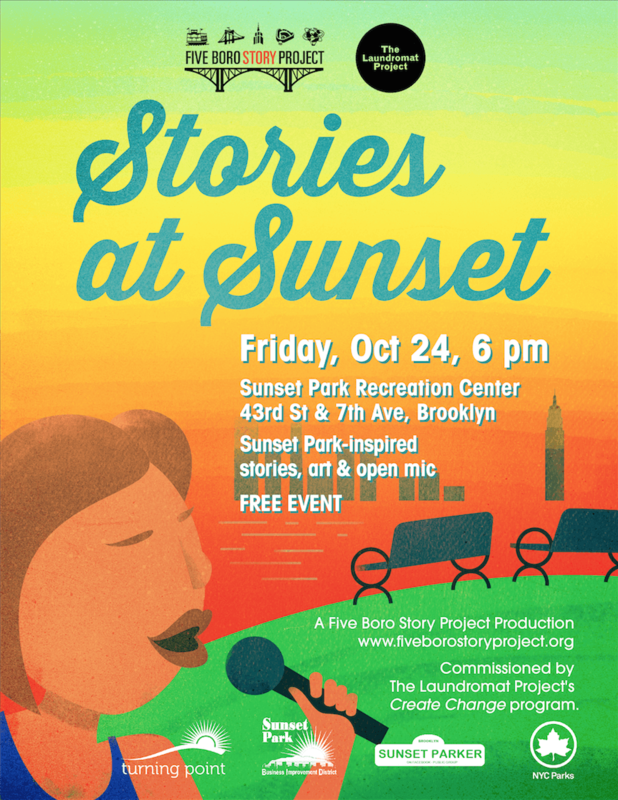 Sunset Park may have the best view in Brooklyn, but “Stories at Sunset” invites community members to take a look not at what’s across the water, but what’s right here in front of us. The stories and art presented here pay tribute to the diverse community of Sunset Park, creating a fuller picture of what the neighborhood is, was, and could be. Stories at Sunset is presented in conjunction with Turning Point. This event is the fourth installment in the Neighborhood Portrait Series, commissioned by The Laundromat Project‘s Create Change Program. Sunset Park Recreation Center is located at 7th Avenue between 44th and 43rd Street in Brooklyn. For directions, CLICK HERE. View “Stories at Sunset” photos HERE.